05 Nov Caroline Klohs: YOGA!!! Caroline is from Wayzata, Minnesota and graduated from the University of Minnesota with a degree in Strategic Communications. She moved to Manhattan right after college to, “Make the most of life, in one of the most exciting cities in the world.” She truly values her friends and family in Minnesota, as well as her adopted NYC family. Caroline found the practice of yoga when she first moved to New York City. Trying to balance a career in Finance and maintain an active, healthy lifestyle in the city that never sleeps, she knew that a shift had to occur physically, mentally, and emotionally. Being a long time competitive athlete and Equestrian, she has always valued fitness and the positive aspects it has to maintain a happy, healthy life. The day she walked into her first yoga class she was not only challenged physically, but mentally and emotionally. Through the challenging poses, the empowering words of the instructor, and the soothing, yet beautiful music; a shift occurred. This shift has lead to an amazing journey that has forever changed how she looks at the world and her life for the better. Caroline teaches a powerful, dynamic flow filled with the consciousness of breath and embracing the emotions that each posture reveals to you. She believes in the beauty of having a positive attitude in life and this is truly articulated in her teaching through her music, use of words, and ability to connect with students on and off the mat. She wishes to inspire her students both physically and spiritually and allow them to experience the shift that affected her on so many levels. Credentials – Caroline received her 200 Hour Yoga Alliance RYT Certification from Pure Yoga NYC, taught by the world renowned, Kay Kay Clivio and Yogi Charu. She received her 100 Hour Yoga Alliance RYT Mentorship Certification with Loren Bassett, the creator of Bassett’s Bootcamp and a 2011/2012 Lululemon Ambassador. 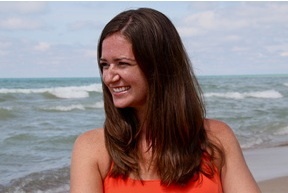 Caroline teaches at Pure Yoga and SLT, has a private clientele, and teaches children.